To give a handful of assistance to competitive exam aspirants in need, Safalta team is providing the most important events of India and World History daily to help students boost their preparation. 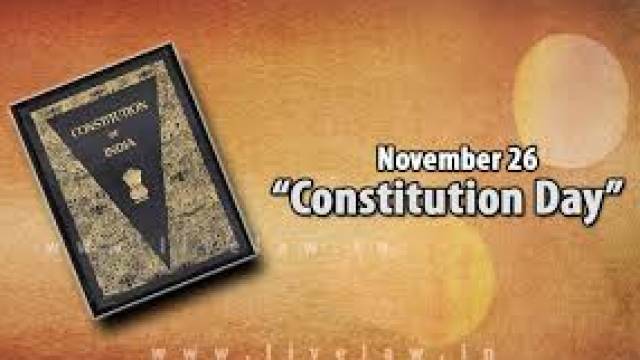 In today's history, here are the most important incidents that took place on 26 Nov.
1949: The Indian Constitution was adopted on November 26, 1945, which came into effect on January 29, 1950 and made our country Democratic Republic and Sovereign. 1960: Today, First Subscriber Trunk Dialing System Services was initiated between Lucknow and Kanpur in India. 1883: Today, former slave Sojourner Truth passed away in Battle Creek, Mich.
1950: China make entry to Korean War by launching counteroffensive against soldiers from the U.S., United Nations, and South Korea.